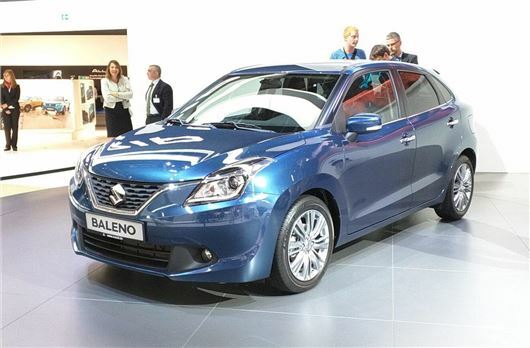 Suzuki has revived the Baleno name at the Frankfurt Motor Show, in the form of an all-new hatchback that will be larger than the Swift and offer more interior space and practicality, with a five-door design that takes styling cues from the Celerio and Vitara. It should reach the UK by mid-2016. Power will come from Suzuki’s latest 1.0-litre BoosterJet petrol engine, which will return more than 70mpg and most likely emit less than 100g/km of CO2. Suzuki is also promising significant weight-saving measures to fulfil efficiency and dynamic performance expectations. Inside the cabin has a “Liquid Flow” design theme, which Suzuki's PR department claims is based of an energetic mass of liquid in motion, with seating for two adults both in the front and in the rear, along with 355 litres of luggage space. The Baleno will not replace the five-year old Swift in the Suzuki range, but instead sit above it to compete with the Ford Fiesta, Peugeot 208 and Volkswagen Polo. A new Suzuki Swift is expected in early 2016.